This is a general introduction to Christianity, in which no previous knowledge is assumed. The emphasis is on the practice of Christianity today, giving the historical background as necessary. Reference is made to all the main denominations and their various methods of worship, and the Church is also shown worldwide. Other books in the "Words and Pictures" series look at Hinduism, Islam, Judaism and Sikhism. 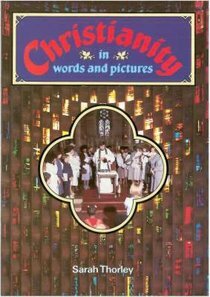 About "Christianity in Words and Pictures"
Unavailable. Publication of this title has been delayed. A due date is not known.